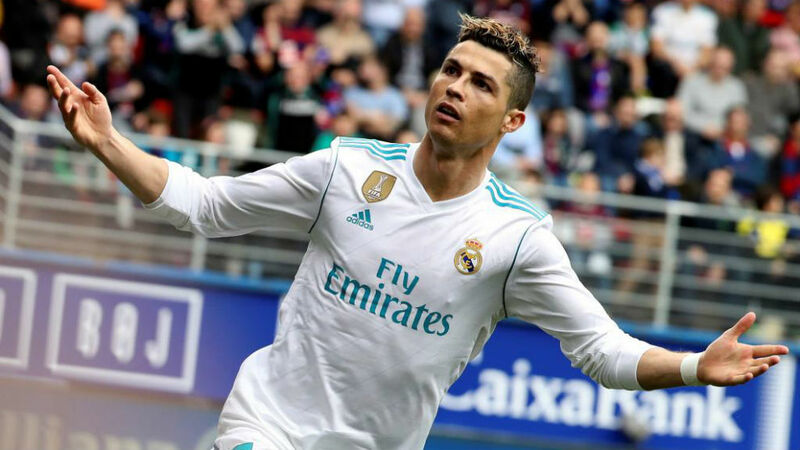 Real Madrid played with confidence against Eibar, and it was clear to everyone watching that Cristiano Ronaldo is eyeing the Pichichi award. The Portuguese forward scored two goals on Saturday afternoon which took his tally to 14 goals in the last eight LaLiga matches. Recently the iconic forward made clear his intentions to his teammates; he intends to win the award for LaLiga’s top goal-scorer, even though Lionel Messi took such an early lead. Ronaldo never truly caught fire in the first half of the season, his initial suspension and subsequent fitness struggles left him bereft of confidence, and at times even his long-term value to Los Blancos was questioned. Only six goals now separate him and Messi in the goal-scoring charts, however. The former Manchester United forward has scored braces against Deportivo La Coruna, Valencia, Alaves, Getafe and Eibar, and a hat-trick against Real Sociedad. Since his return to form, only Levante have kept the veteran off the score sheet, so a fourth Pichichi award is well and truly in his sights. Both Messi and Ronaldo have 33 goals in all competitions, although the latter has been boosted by his quite sensational record in the Champions League. It has taken seven fewer matches for the Portuguese forward to reach this milestone, and with the club potentially having as many as 15 matches left he is hopeful of reaching the 50 goals mark.